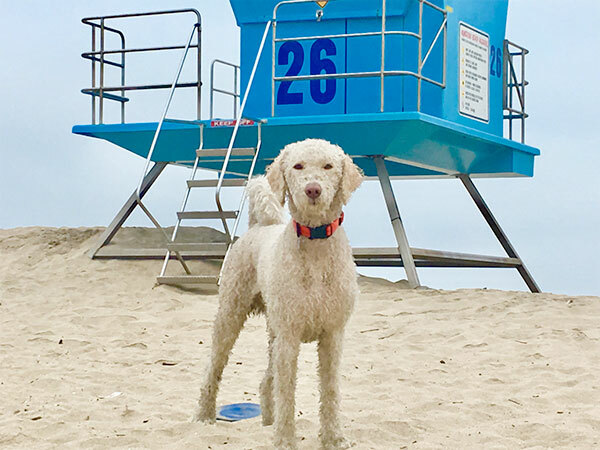 Voted one of California's dog-friendliest cities, Huntington Beach welcomes four-legged children with open arms at restaurants, parks, and hotels; along its paved beach path; and even dedicates a stretch of beach to salty pups. 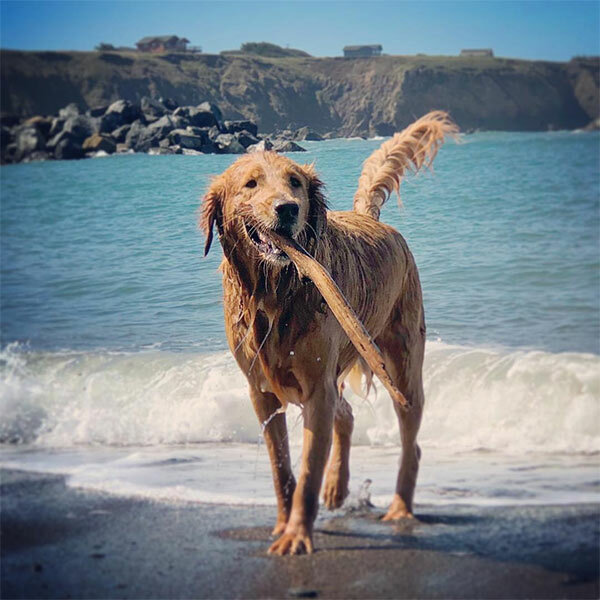 Follow this itinerary for a glimpse of how you and your pup can explore the town and have a tail-waggin' good time in Huntington Beach, (a.k.a. Surf City, USA). Start your day at Sit Stay Cafe, a Downtown Huntington Beach favorite that loves canines and coffee alike. Conveniently located about one mile from Dog Beach at 11th and Orange streets, the cozy cafe invites dogs and their owners to enjoy the front patio. Sip a hot cup o' joe and fill up on a breakfast sandwich while your pup sips from complimentary water bowls and nibbles on courtesy treats. If you're visiting around the holidays, "Santa Paws" traditionally makes an appearance in early December. Romp through the surf at Huntington Dog Beach, a sandy pooch's paradise. This stretch of beach spans 1.5 miles along Huntington City Beach between Seapoint and Goldenwest streets. Canines gallop freely along the water's edge, fetching frisbees and giving chase to new friends. Waterdogs paddle out with swimmers and surfers. Nestled inside Huntington Beach Central Park along Goldenwest Street, Park Bench Cafe reigns supreme as the best dog-friendly restaurant in town. It not only features abundant outdoor seating and complimentary water bowls, it also serves up an entire "Canine Cuisine" menu of sweet and savory treats. Order up the Hound Dog Heaven (juicy ground beef) or the Wrangler Roundup (lean ground turkey) for that doggy on a diet, plus a Peanut Butter Puppy for good measure. Hit the dirt at Huntington Central Dog Park, situated on the edge of Huntington Beach Central Park at Edwards Street and Talbert Avenue. With separate dog runs for large and small pups, the fenced-in space offers something for every wagging tail, including donated balls, water stations, agility obstacles, artfully painted benches, and plenty of space to run wild. Before or after, leash your canine companion and stroll the various trails weaving through the rest of the picturesque park.